Working Title Films is owned by Universal Studios, one of the ‘big six’ corporations. Universal Studios owns a number of media companies, the most well known being universal pictures. This means that Working Title Films can be associated with a very successful business of operations. It also means that they are able to have a bigger budget and bigger advertisement oppurtunities. As well as this, it means that Universal is able to manage film distribution so that the studios that they own are not in direct competition in theatres, making everyone more money. A prosumer is a person who makes their own content and products. This has become more popular as the years go on, with more people creating things based off of shows, or even just making their own shows on platforms such as YouTube or Kickstarter (for funding). This means that there is a lot of content for the public to see, which has both positives and negatives. One such positive is that it makes the potential audience interact more with the product, as they are able to relay choices and opinions. It also means that people are able to view the media that they want to see. However, this can lead to an avalanche of opinions that can drown out the original work. As well as this, the number of prosumers out there can reduce the number of things seen on television or in theatres, as people are able to see what they really want, instead of the closest approximation. Producers us converged devices to push more content relating to their own into the market. This can determine the amount of recognition that a brand or franchise receives. 3D movies have revitalised the cinema goer’s experience in theatres. Over the past few years, the number of 3D movies has grown to the point that many of the movies in theatres have 3D and regular showings overlapping. 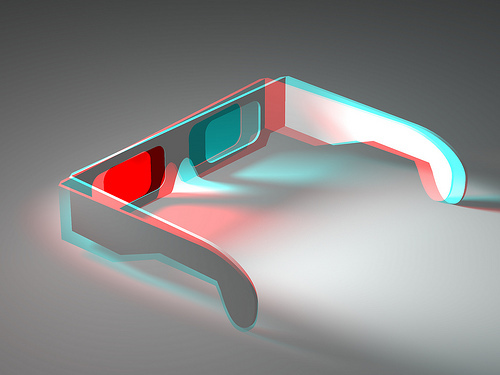 One of the benefits of 3D movies is that it enhances the viewers experience, bringing them closer to the movie. People also watch 3D movies in theatres, and although it is possible to watch them at home, this is only with specialized televisions, which cost a lot of money. However, there are drawbacks to this as well. Firstly, many people do not like the glasses that are necessary for a 3D experience. whether it be because they already wear glasses, and wearing two pairs of glasses is not only uncomfortable but looks strange or simply because they do not like to wear them in the first place. As well as this, being blind in one eye or having Anismetropic Amblyopia would not allow a person to watch the movie in 3D, as their brain cannot process the information directed at the non working eye. Also, although it is less common now than when 3D was first introduced, the experience can cause nausea and headaches. 3D is also not always the experience that audiences expect, as-unless the movie was shot to be 3D specifically- the effect is underwhelming. The Water Diviner is a movie primarily aimed at older people, due mainly to the religious and historical themes, which do better with the older generations than others. The people who watch this could possibly have stricter values due to the perceived religious themes that the movie contains. It is also more likely to interest people of a higher NRS social grade, due to the historical elements which are viewed more by the higher social grades than the lower. It is also likely to appeal to both men and women, due to the war and drama genres, but more so toward women, as dramas are more popular with women than men. Fast & Furious 7 is a movie primarily aimed at people between the ages 12 and 30, due to a combination of a ’12A’ rating and the 14 years since the first movie, which is rated as a ’15’. This movie is most likely targeted toward people with looser values, as the primary themes in the movie are based around illegal activity and violence, which may upset people with stricter values. This is also most likely targeted towards people of lower to middle NRS social grade, as well as males, according to the BFI statistics. This could be due to the theme, as well as the cars-which are usually marketed towards men. Home is a movie primarily aimed at children, a shown by its ‘U’ rating, and the use of animation-which is used more in children’s movies in western culture than in other genre. As it is primarily for children, it would also have to appeal to the adults who have children, as many adults don’t want to see a movie that will not entertain them. They will also need to be convince that it would be safe for their children to watch, due to their values, which could be more accepting as the main human character is a young immigrant girl from Barbados. These people would also likely be from a higher NRS social grade, as they would need to pay for both child and adult tickets, which have become more expensive in recent times. As this movie is targeting mainly children, it is difficult to decide what gender it would most appeal to, as many children’s movies in recent times are genderless. However, this movie is part of the adventure genre which has been said to appeal mostly to males.